Room #3 features a full sized antique bed and full bath with tub. 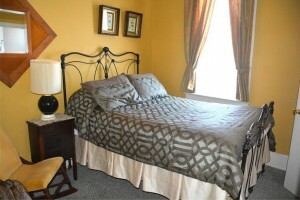 The preferred room for the single traveler but also very comfortable for two. 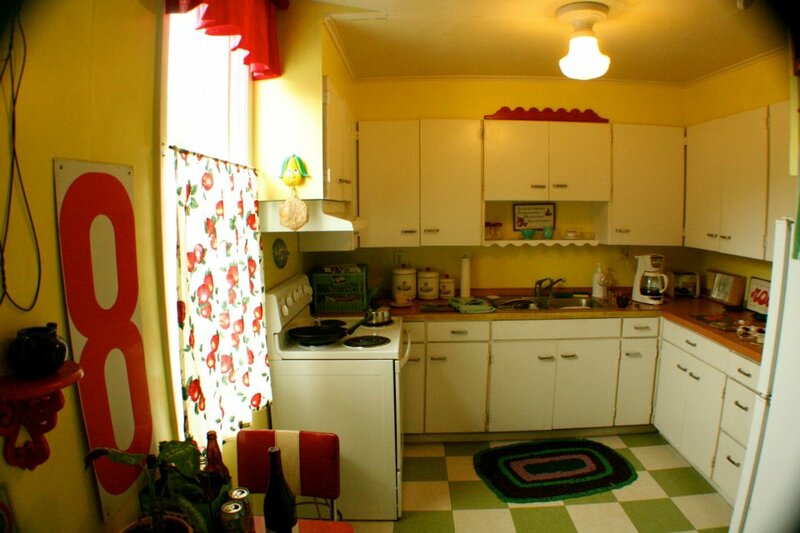 KITCHEN: All of our rooms include access to the shared kitchen featuring full refrigerator, stove, sink and microwave. You’ll find dishes, utensils, pots, pans and everything you will need to feel right at home. 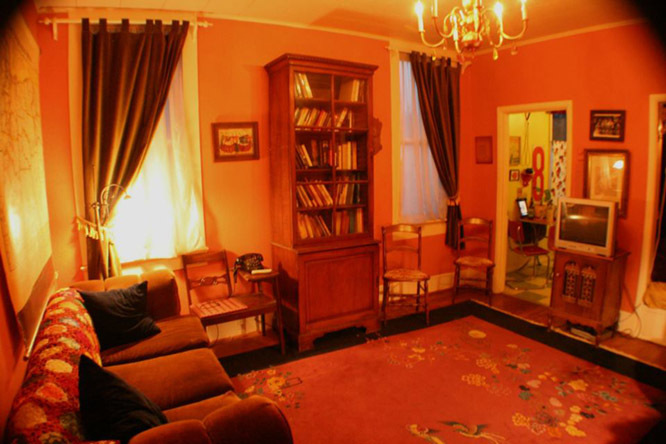 Also shared is this great room to gather and visit. Stocked with great books, games and also has the only cable TV in the hotel. (We like to keep it like stepping back in time) Full couch, nook and two cozy chairs. Please select the dates you would like to reserve on the calendar below. Note: With only 6 rooms late cancellations affect us greatly so please expect to be charged full price for a cancellation anything less than 48 hours before the 3pm check in time of the day of your scheduled arrival.